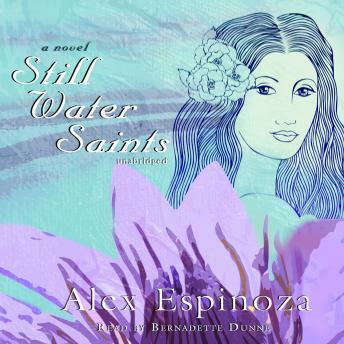 Still Water Saints chronicles a momentous year in the life of Agua Mansa, a largely Latino town beyond the fringes of Los Angeles. Agua Mansa is home to the Botánica Oshún, where people come seeking charms, herbs, candles, and above all, the guidance of the shop's owner, Perla Portillo. Perla has served the community for years, arming her clients with the tools to overcome all manner of crises, large and small. Among her customers are Juan, a businessman coming to terms with the death of his father; Nancy, a schoolteacher caught between the demands of her new husband and her parents; Shawn, an addict looking for peace; and Rosa, a teenager trying to lose weight and find herself. But when a customer with a troubled and mysterious past arrives, Perla struggles to confront her unfulfilled hopes and doubts about her place in a rapidly changing world.